Is Medical Cannabis the Answer to Britain's Prescription Drug Problem? Thousands of people are being prescribed pharmaceutical medications in the UK every year, leading to fatal addictions. 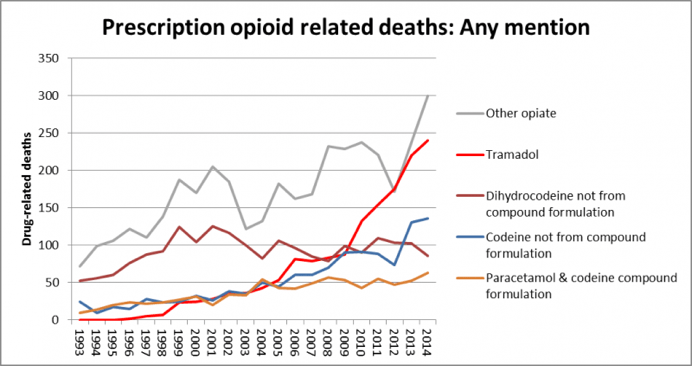 The Office for National Statistics (ONS) found from its research that there is an “underlying pattern” of increasing deaths in which an opioid pain medicine (OPM), especially tramadol, is mentioned. Does the UK have a growing problem with opioids? Can medicinal cannabis be the answer? A study from the University of Victoria, Canada, last year found that people are increasingly ditching their prescription medications with medical marijuana, suggesting that cannabis can offer a potentially safer alternative to deadly, highly-addictive, pharmaceutical drugs. Following an influx of deaths related to Tramadol, the most popular painkiller in the UK, leading pathologist, Professor Jack Crane, made calls for the British Government to upgrade Tramadol to a Class A. Thousands of people in the U.K. take fatal doses of prescription drugs every year. 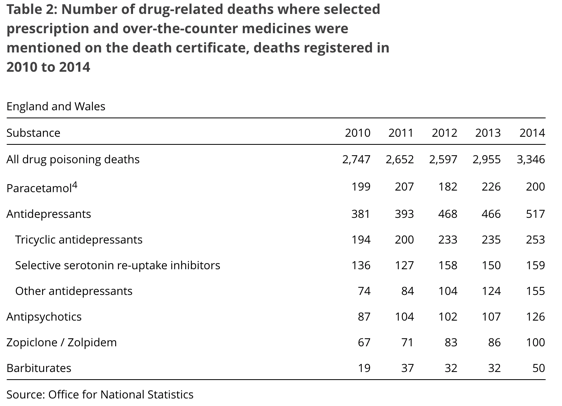 According to the ONS, there were 3,674 drug poisoning deaths involving legal and illegal drugs in 2015. Of these, 1,195 (33%) exclusively involved legal drugs, while illegal drugs were involved in the remaining 67%. After Diazepam, Tramadol is the leading legal drug people are overdosing on in the UK. According to the ONS, 240 people died from a fatal Tramadol overdose in 2014, with 258 dying from fatal doses of Diazepam (latest available figures). Over half (53%) of all drug-related deaths in 2014 related to drug poisoning involving an opiate drug, but this does include heroin. Without addressing the serious issue opioids pose, Britain could follow the same path America has taken. In the USA, opioids (including prescription opioids and heroin) killed more than 33,000 people in 2015. Of these deaths, nearly half of all opioid overdose deaths involve a prescription opioid. Can cannabis be the answer to Britain’s growing legal drug crisis? While opioids are killing thousands, every year, cannabis has not killed a single person, ever. Research has already shown that patients addicted to prescription and opioid-based drugs are able to use cannabis as a “harm reduction role in the context of use,” of alcohol, illicit drugs, and prescription drugs. We decided to speak to real medical patients addicted to prescription drugs to find out if cannabis has the potential to treat the symptoms people use prescription pharmaceutical drugs for, and if they had been able to replace the dangerous prescription drug with a safer alternative. Hundreds of people in the U.K. are finding success with cannabis-based treatment for the same symptoms doctors prescribe dangerous, addictive, pharmaceutical drugs. 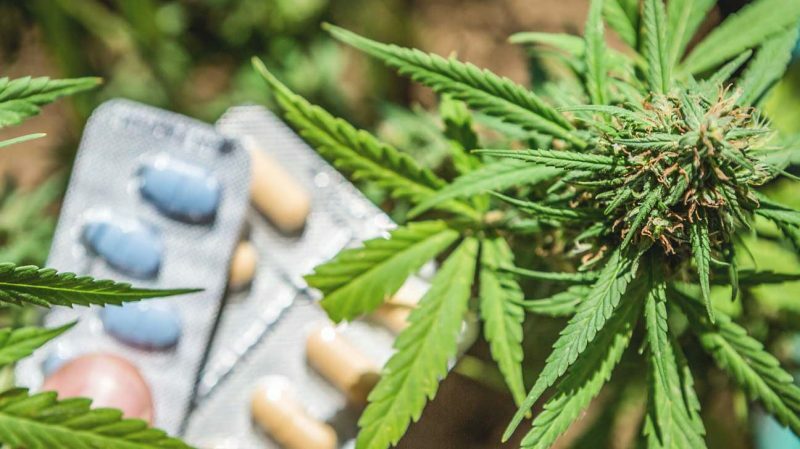 One of the major reasons people seem to be turning to medical marijuana, opposed to pharmaceuticals, is the debilitating side-effects that often come with them. Thomas, who suffers from Porphyria and Mesenteric Lymphadenitis, had been prescribed a cocktail of Tramadol, Dihydrocodeine, Oxycodone, Oramorph, Morphine Sulphate, Fentanyl, Diazepam (Valium) and Naproxen. It’s given me my life back. This was a common response. Pharmaceuticals have been robbing people of their identity, as another medical cannabis patient, Amanda, who found herself addicted to prescription drugs following a traumatic event in her childhood, explained. “I was so numb that I couldn’t relate to anything. I had no emotion or motherly connection for my kids, no expression on my face. It was like my whole body was numb and I was screaming on the inside for help. “I was suffering severe PTSD at this point. I tried to commit suicide and I even found myself hanging off a bridge. “I carried on smoking weed and weaned myself off most of the meds. I got my kids back and that alone changed so much! “Eight years later and I’m still smoking weed and only rely on one tablet (when needed) but I much prefer a joint! I would recommend medical cannabis to anyone! A common side-effect patients report about antidepressant drugs is, ironically, depression and suicidal thoughts. Drew was prescribed Seraltrine, Diazepam, Zopiclone, Quetiapine, Naproxen, Zapain, and Sertraline for his mental illnesses, including anxiety, depression and OCD. Rather than treat Drew’s depression, the drugs intensified the symptoms. Cannabis, however, provided unparalleled relief: “I can’t stand the side-effects of the Quetiapine, Zapain or the Diazepam. I was so sleepy all the time and it messed with my head. “With the cannabis, I get none of that! “I can wake up suicidal, but once I medicate with cannabis my mood totally changes to more positive thoughts. It also helps me deal with my pain a lot more. 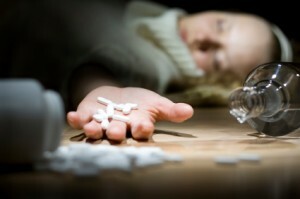 According to David Mericle, a senior U.S. economist at Goldman Sachs, the opioid crisis has become so severe in America that it may be negatively affecting the American economy, potentially costing the American economy $78.5bn a year. According to Mericle, Americans addicted to prescription drugs are actively not looking for jobs; not only because of the numerous side-effects mentioned above but also because those applying for jobs are failing their drug tests. “I’ve worked all my life, 12 hours a day for the last 12 years. I’d never even taken prescription drugs until last year when I was forced to have a hip operation through ostio-arthritis. “After the first operation, there was just pain, leading me to be prescribed several pharmaceutical drugs. The last 11 months on the prescription drugs has totally destroyed my life. “After a bit of research, I decided to stop taking these prescribed drugs and just smoking cannabis. It must be remembered that cannabis is still an illegal substance, often preventing potential patients from accessing it, as Leanna explained: “I have used cannabis for a long time now. Mostly I smoke it at night to help my muscles relax and help me sleep. “I don’t smoke it every night as it depends if I have any. But, I know when I’ve not got any how much I will struggle. Due to cannabis’ Schedule I and Class B status, it can be difficult for patients to obtain the illegal drug, often forcing them to fund the black market trade, which inevitably funds violent organised crime. “I’ve suffered from depression since my early 20s, I’m 48 now, and tried numerous pharmaceutical drugs. Some helped some didn’t. “I started smoking cannabis and it really seemed to help the situation, so I decided to start growing my own. “On Halloween, 2012 I received the dreaded knock. I got busted for growing. They destroyed the whole lot, took away my medication. If we do not address the growing pharmaceutical drug crisis growing in the U.K., we could end up with a situation similar to American states which do not have legal cannabis. The fact that the hospitalization rate for opioid abuse and dependence in states with medical marijuana are roughly 23% lower than states without legal access, shows just how effective legalising medicinal cannabis can be. Have you had negative experiences with pharmaceutical drugs? Have you been able to replace these with medical marijuana? Let us know in the comments! This is ridiculous ,smoking is bad for you whatever you put in your roll up . Proper medical cannabis comes in tablet form .I just wish I knew where to get it. I was incredibly surprised to read that 33% of drug poising deaths were caused by Legal Drugs. WOW! I couldn’t agree more with the points made. I was an addict myself a while back and I’m so thankful that I managed to quit. I knew a lot of people that took Marijuana for genuine purposes like the methods that you described and it allowed them to live a much better life. One particular friend of mine had Cerebral Palsy and I honestly don’t know how he’d survive without Medically induced Marijuana. I’m sure the UK will make a big step to allow it as I am very passionate about this area. I’m now trying to help as many people as possible quit smoking Marijuana, as it’s very harmful. I’ll be potentially citing some of this information on my blog – thank you for taking the time to write!